The reason why we continue to be fascinated by movies ever since the cinema was invented is that through films we can unleash our imagination. We can be everything we want, go through all sorts of adventures and last but not least, we can travel. 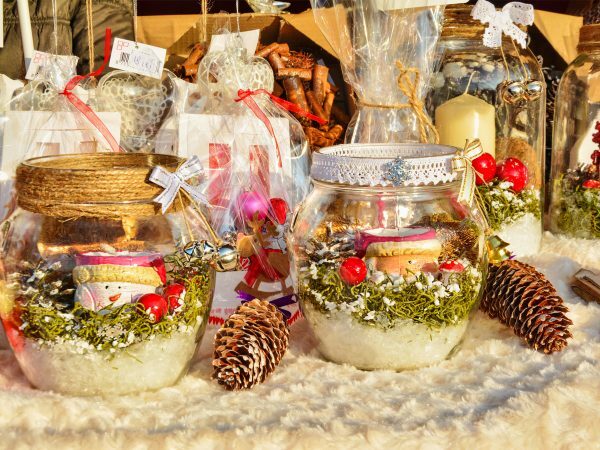 It’s enough to watch a movie in which the story takes place in the midst of beautiful landscape and at least for a couple of hours we can imagine that we are also there, whether it is a secluded beach, a mountain peak or a charming city. That being said, did you know that some of your favorite movies were filmed in Romania? 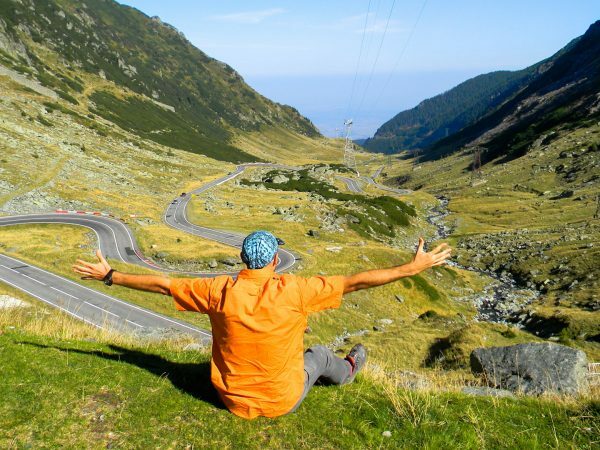 If you’ve watched any of these movies and you’ve been wondering about the beautiful places you saw on the screen, well they’re actually in Romania. Let’s take a look at the places that have been used as locations for popular movies in recent years. Cold Mountain is probably the most famous movie shot in Romania, almost entirely in the village of Reci in Covasna County and in Bucharest. The movie was a real success, being nominated for Oscars in several categories. But the statue was taken by Rene Zellweger, for the best actress in the lead role. The love story between Jude Law and Nicole Kidman during the American Civil War was very emotional, the film directed by Anthony Minghella being filled with landscapes from the Carpathian Mountains. The rural landscape was perfect to serve as a setting for the movie’s period, as the story was supposed to take place more than 100 years ago. 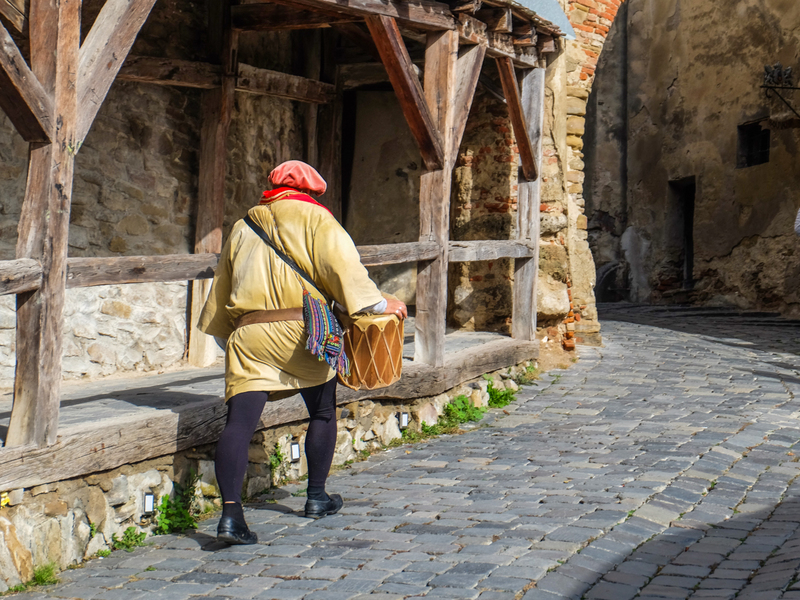 Transylvania is known as “the land where time stood still” for a reason. The fantasy drama Youth without Youth directed by Francis Ford Coppola, based on some stories written by Romanian novelist and poet Mircea Eliade was shot mostly in Romania, in various locations, including Sinaia, Brasov, Constanta, Piatra Neamt and Bucharest. Tim Roth played the lead role. 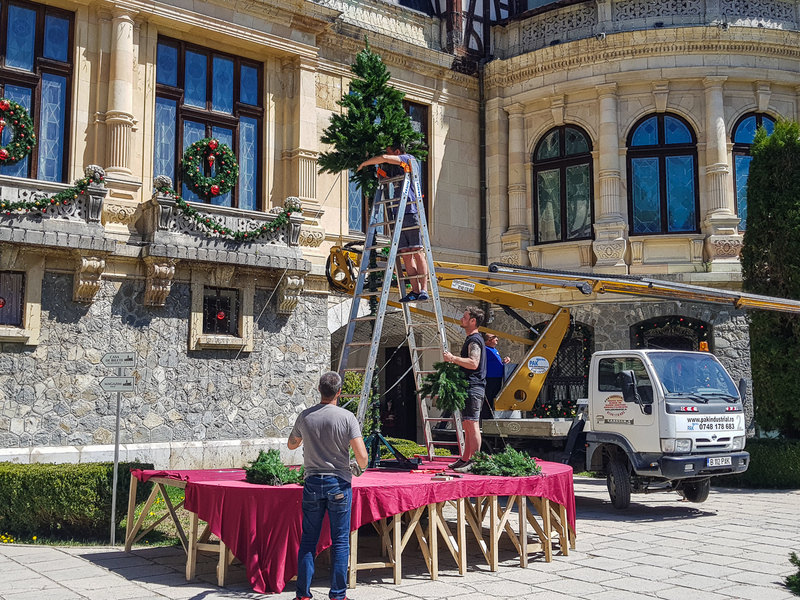 If the extravagant exteriors you saw at Penelope’s house from the movie The Brothers Bloom with Rachel Weisz, Mark Ruffalo and Adrien Brody seem familiar, it’s because they were shot at Peles Castle. 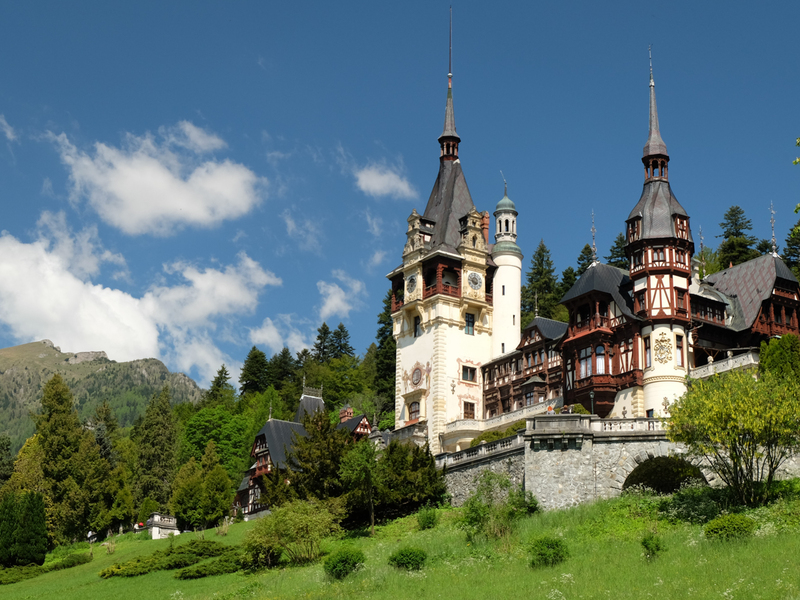 Peles Castle was also a fairy tale setting for the movie A Princess for Christmas (and there may be a sequel in works at the same locations, as we were able to see during one of our tours). The castle’s exterior was used for the fictional Castlebury Castle. The city not only served as a filming location for various movies, but its proximity to a couple of movie studios also helped, for the interior shots. 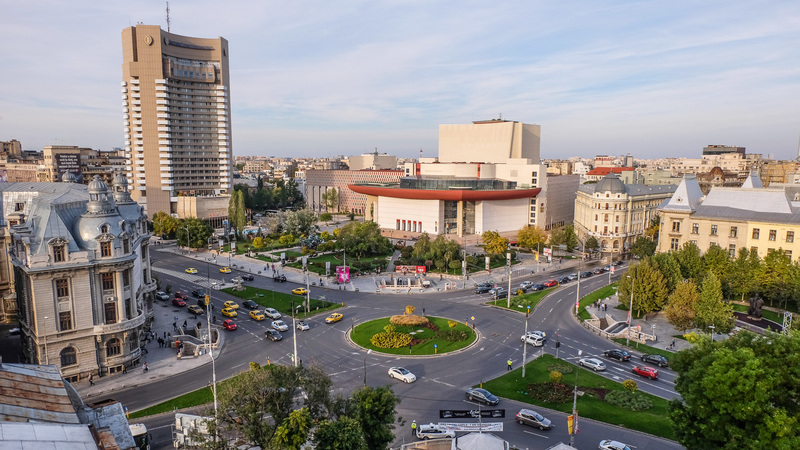 Bucharest is often used as a filming location, because its interesting architectural mix between buildings from the communist era, modern corporate buildings and vintage homes makes it similar to other cities from countries that once belonged to the former USSR, or had communist regimes. 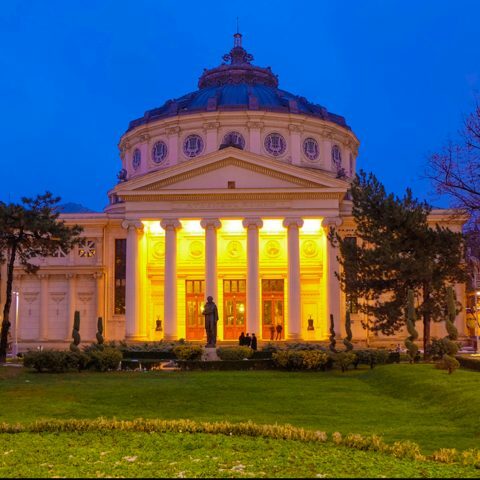 Especially Bucharest’s Old Town and its squared were primarily used as movie locations. The Expandables 3 – filmed in various locations, including the University Square, Lipscani Street and the Triumph Arch. 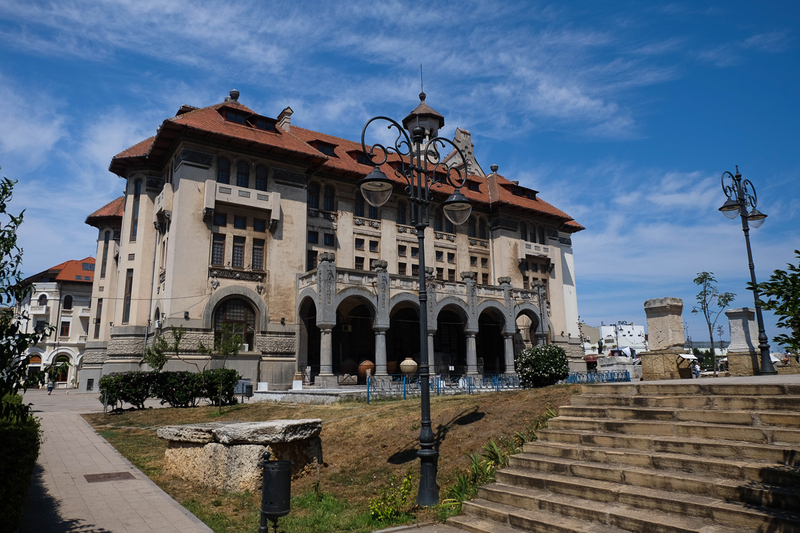 For the Brothers Bloom movie, there were also a few scenes shot at the Grand Casino from Constanta and at a shipyard. 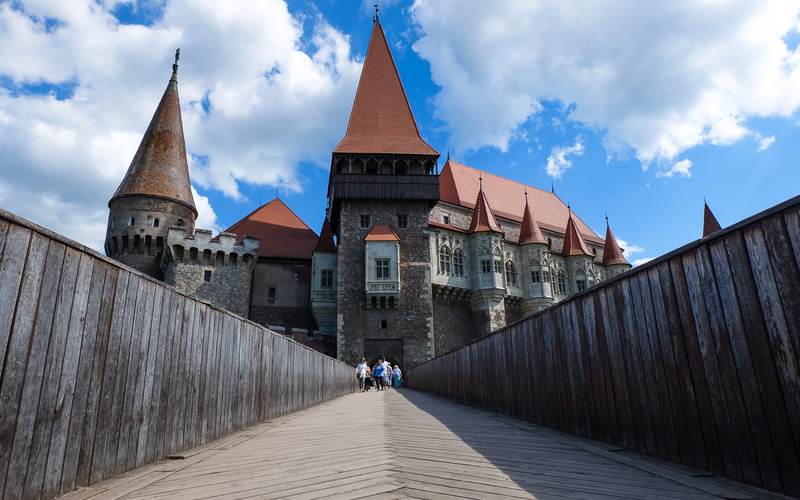 The mysterious atmosphere surrounding the Corvin Castle was the perfect setting for a movie dealing with demons and other fantastic creatures like Ghost Rider – Spirit of Vengeance, with Nicolas Cage in the leading role. The castle also served as a filming location for a vampire-themed movie – what a shocker, right? – BloodRayne, with Kristanna Loken, Michelle Rodriguez and Ben Kingsley. The spectacular road was perfect for Nicolas Cage to show off his motorcycling skills in Ghost Rider – Spirit of Vengeance. Popping up again on this list is Ghost Rider – Spirit of Vengance, with a few scenes shot in Sibiu, including in the Small Square. 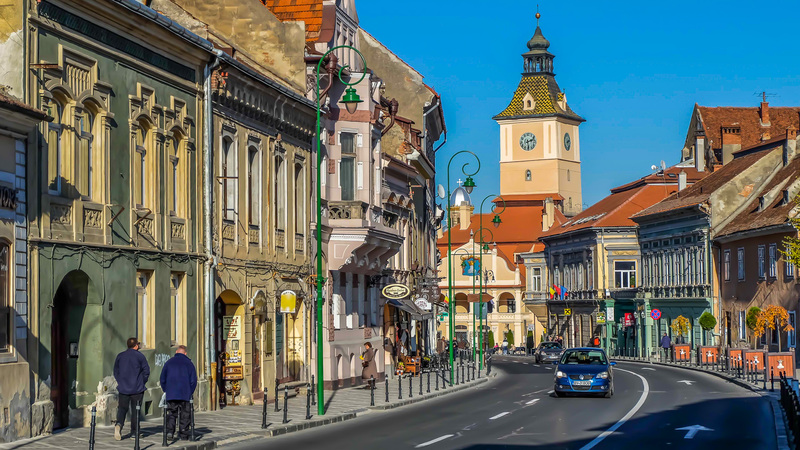 The medieval streets of Brasov made an appearance in the movie One in the Chamber with Dolph Lundgren and Cuba Gooding Jr.
Brasov was also used as a filming location for the miniseries Hatfield & McCoys with Kevin Costner and Bill Paxton. 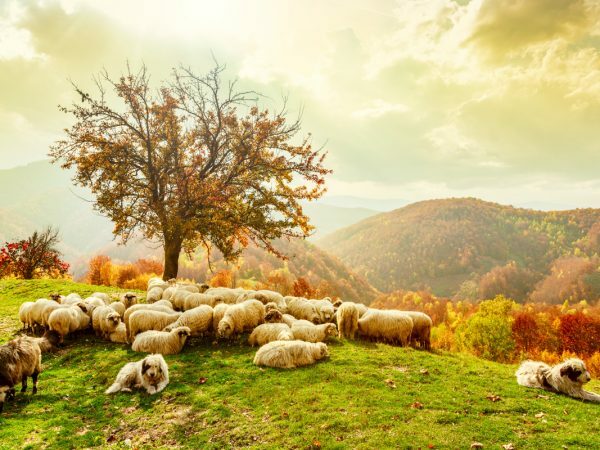 Other Romanian filming location used for the miniseries were Rasnov and Zarnesti, Transylvania providing yet again the perfect setting for a story centered on the American Civil War period. 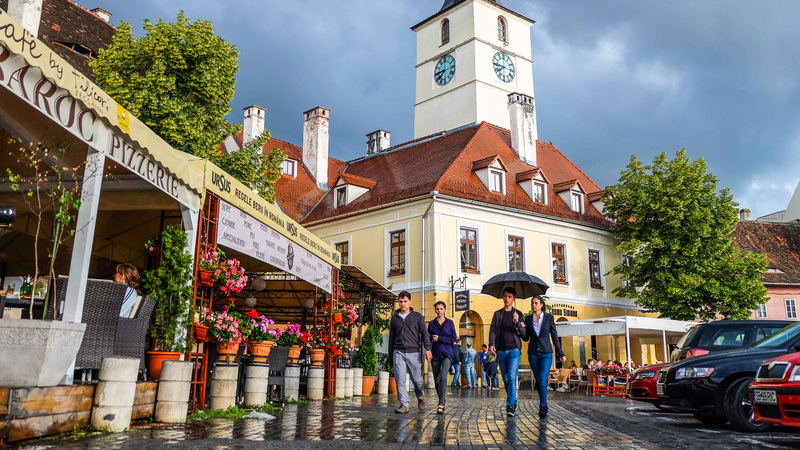 Given that the story from the movie A Farewell to Fools is about Romania during the Nazi occupation, some scenes were also shot in Transylvania, in the town of Sighisoara. Since Sighisoara is considered Vlad Tepes’ native town, it also doesn’t come as a surprise that the vampire movie BloodRayne had a couple of scenes filmed here as well. 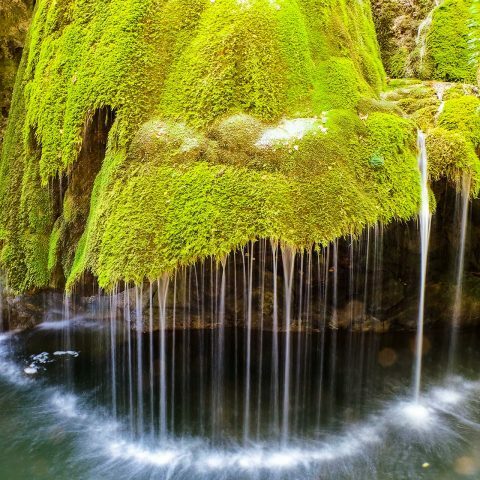 So, next you book a trip to Romania make sure to take your camera with you. You can never know who you might stumble upon filming in some the most popular places in Romania! What a great overview! 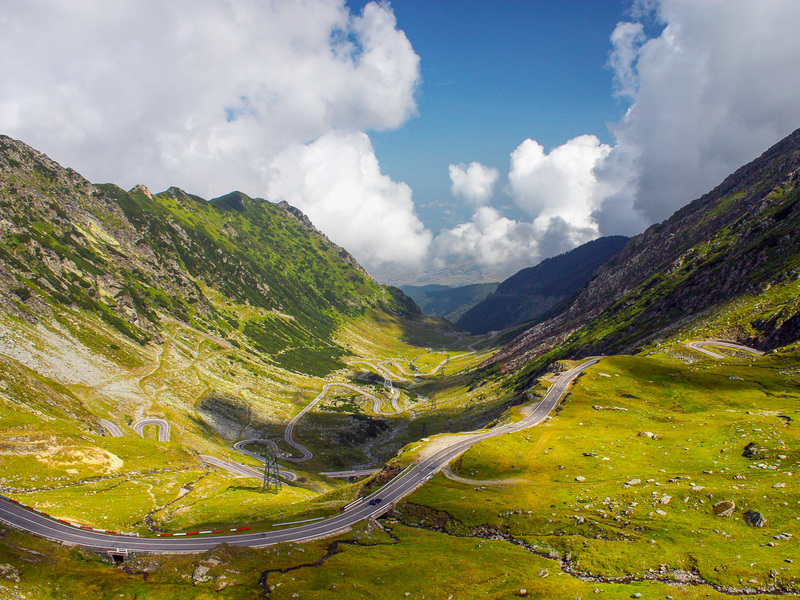 I had no idea how many movies were shot in the beautiful landscapes of Romania! For Bucharest, I can add “The Necessary Death of Charlie Countryman” (2013) and “Toni Erdmann” (2016). I wrote a film review for reach of these films on my blog about film-inspired travel.